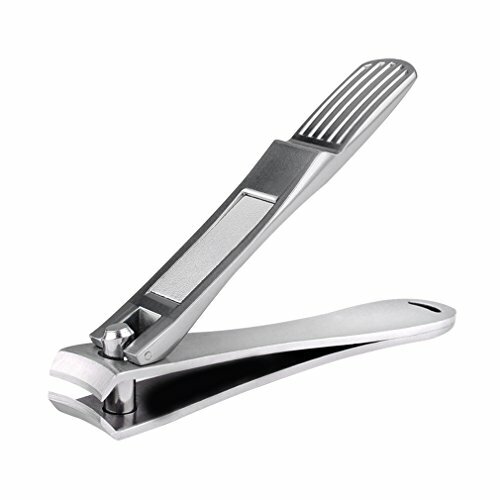 We have been one professional supplier of Top Quality Nail Clippers for several years and we always committed to supply the perfect most reliable product for every our customer forever. -Top quality stainless steel material made it sturdy and durable. -Very comfortable for you to use with the ergonomic handle. -Sharp clipper blade let it easy for you to cut the nails. -Perfect for various kinds of toenails and fingernails. -Really perfect size to fit all people from young kids to elderly. -Could be one perfect gift for your friends or family. ★ STURDY, SHARP & DURABLE -- With the precise and high-strength blade, the nail clipper is very sharp to cut the nails. The top quality stainless steel material made the nail clipper heavy duty and durable as well. ★ PROFESSIONAL DESIGN -- Ergonomic designed handle provide the super comfortable and easy hand feeling for you when you using the nail clipper.Really one perfect gift for your friends or family with it's great fashionable looking. ★ WIDELY USED -- Great working performance for both fingernails and toenails.Could be used for various kinds of nails, include the nails of Men, Women, Children or Elderly. ★ KINDLY REMINDER -- Please use medical alcohol to disinfect everytime after using, and please let your nails not too short to avoid the bacterial infection. ★ 100% SATISFIED GUARANTEE -- Provide the money-back-guarantee to make sure every our customers are happy about the purchasing from us.If you're not satisfied with the item you received within 30 days, you can get one new replacement or full refund immediately. If you have any questions about this product by SDL, contact us by completing and submitting the form below. If you are looking for a specif part number, please include it with your message.